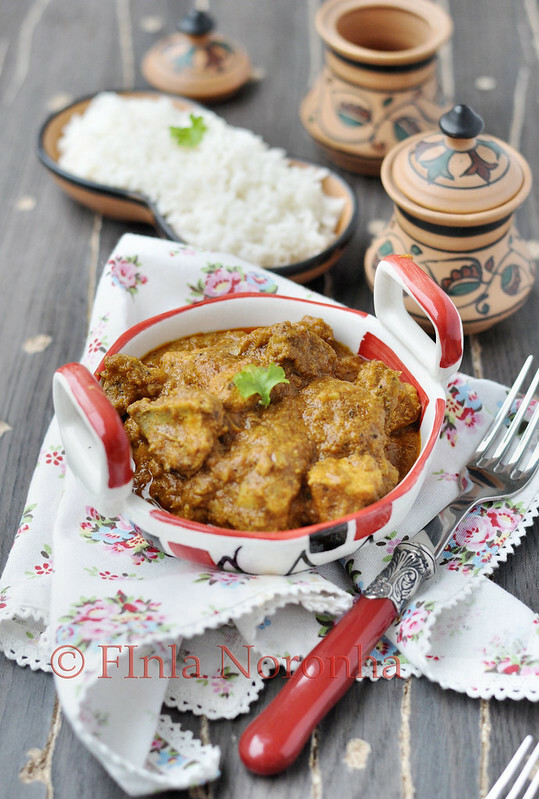 I think if you are familiar with Indian Cusine you will know about Vindaloo, I remember reading somewhere In UK when the Indian food started becoming popular men who wanted to show how macho they were ordered the most spicy dish which was vindaloo and aparently vindallo, roties, rice and beer was was a done thing. 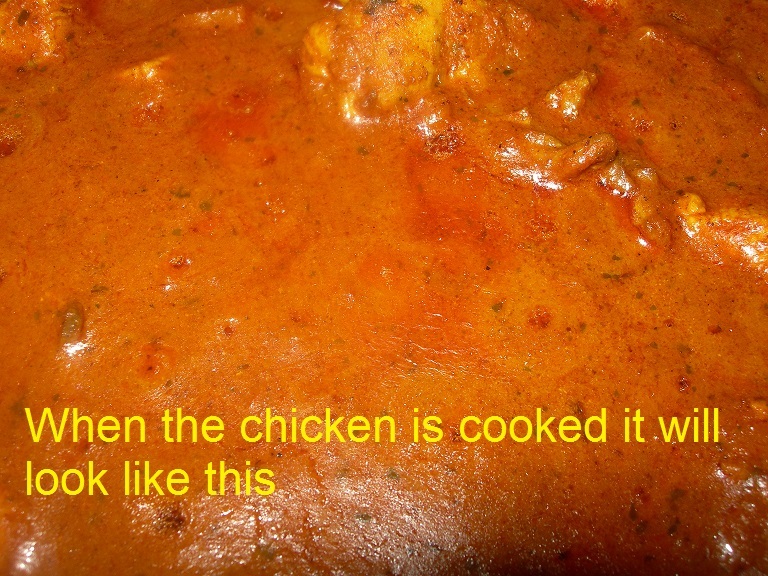 I have made Vindaloo before but then from a spice paste I got from Aparna when Hans went to visit there in Goa . 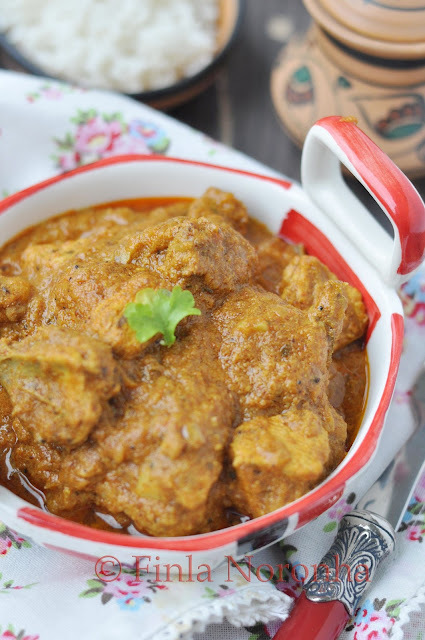 But I have been wanting to make them from scratch and few weeks back while taking to my sis she was saying she made this delicious Chicken Vindaloo which her husband and kids loved it, so I asked her to give me the recipe and made them to the delight of my family. 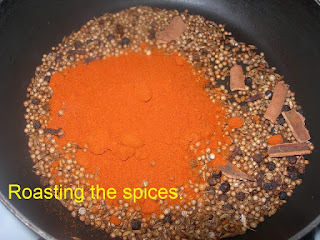 In a pan dry roast coriander seeds, peppercorns,chilli powder, cardamom seeds,fenugreek seeds, cinamon and cummin seeds. 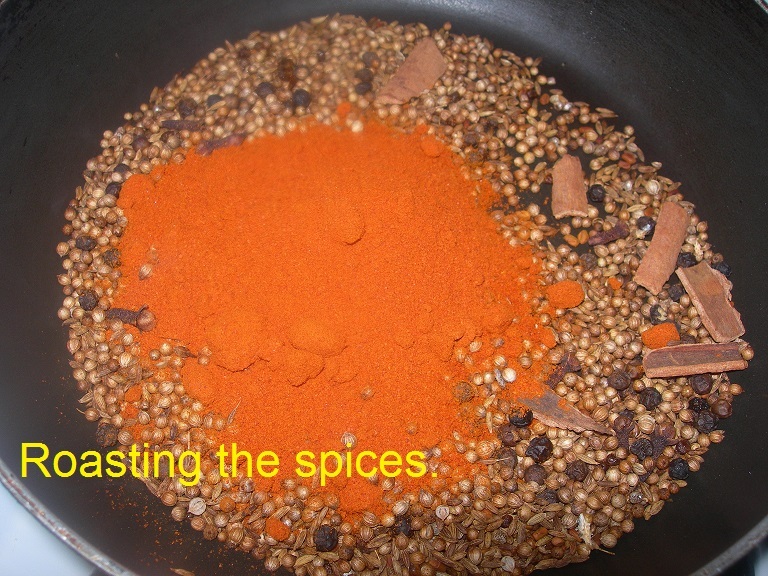 When they are roasted powder them using your spice grinder. In the mean while add the grated coconut together with the turmeric powder, mustard powder, ginger, garlic ,vinegar and make into a smooth paste, you might have to add a little water to get it really smooth. 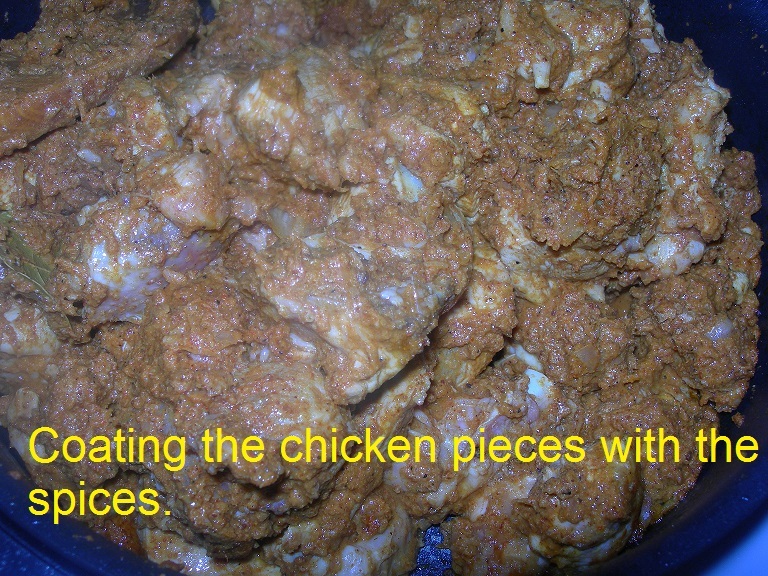 Mix this smooth paste and the roasted powdered spices and keep it aside. 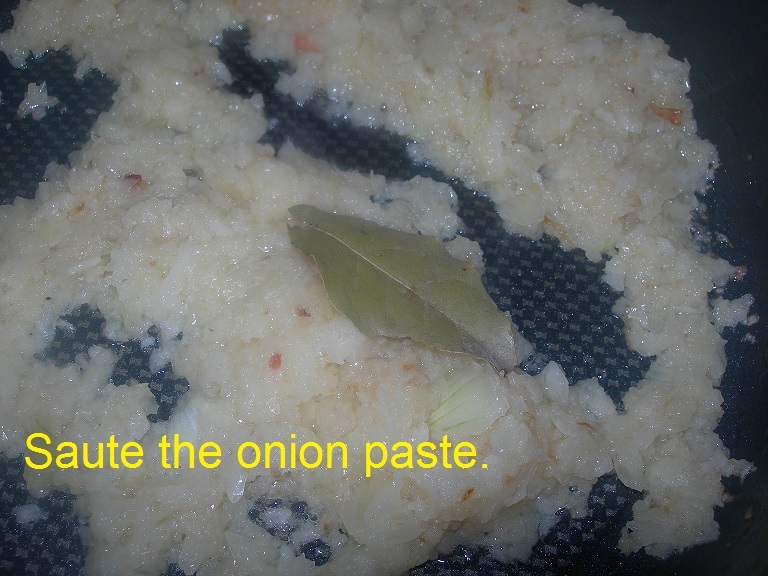 Heat the oil in a wok or deep pan, add the onion paste and bay leaves and fry tillt hey are lightly brown. 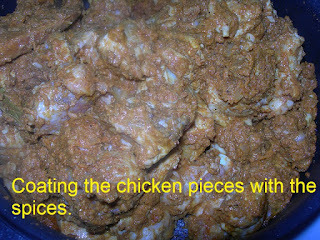 Add this chicken pieces with salt and fry for few minutes, add the smooth paste mixed with the powdered spices and fry for futher few minutes. 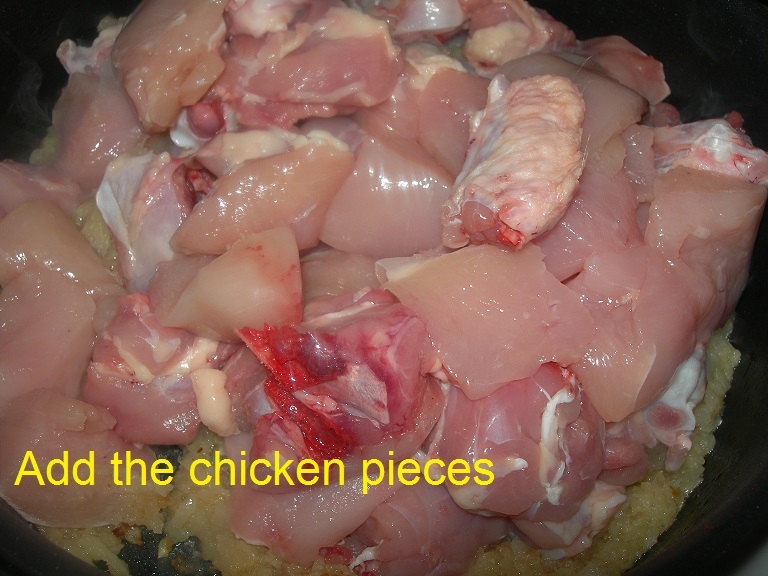 Now add the water and bring into boil. 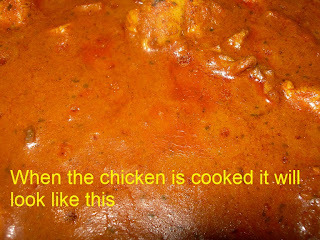 Lower the heat and simmer for 15 to 20 minutes till the chicken is almost done. 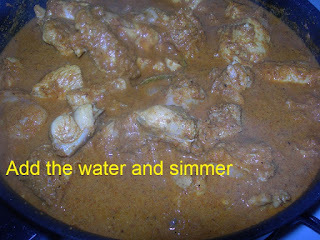 Add the garam masala and simmer till the chicken is fully cooked. I seriously would lick the whole bowl clean! aah Finla this chicken look delicious ! 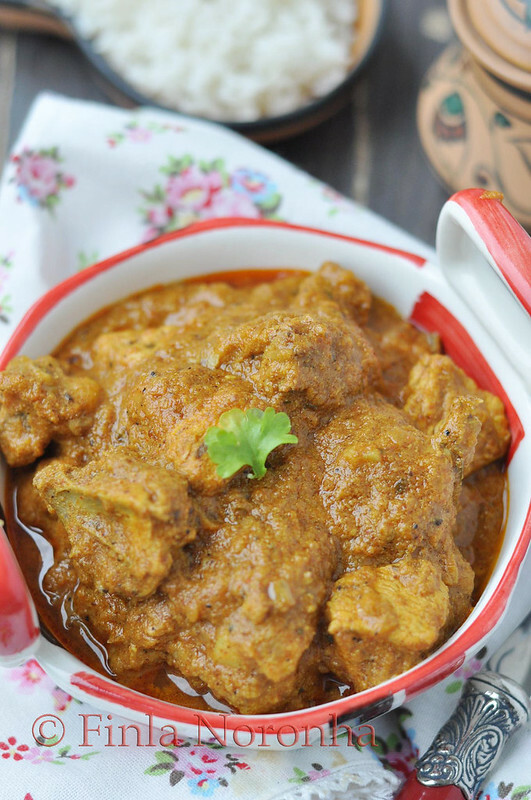 Literally my mouth is watering here, wat a cute and very attractive set up..Vindaloo is just stunning Finla, am craving for some now. I went to a goan restaurant here and had a version of this. Looks so good, I am bookmarking it to try at home.